Lowepro camera bags are popular choice by professional photographers and amateurs alike. It is understandable why everybody likes them. All Lowepro products are purpose built with the photographers needs in mind and specially designed to protect your vulnerable and valuable equipment. Their range is extensive and aimed at different types of use and users (amateurs to professionals). We at Top Travel Tips have in this article put together a summary of the main types, highlighting their benefits, and their best use. Use this guide to help you to find your ideal Lowepro bag, whether you need one for every day use or for your travels. We own Lowepro Rover AW II and two smaller bags as well, which we have used extensively for number of years now. Our Top Travel Tips Lowepro Camera Bag Review explains why we are so pleased with it and very comfortable in recommending the Lowepro brand. The Lowepro product design is highly inventive, offering clever solutions that combine protecting your equipment with easy accessibility, while being discreet looking. Lowepro bags do not like to draw the attention to the fact that you are carrying valuable camera equipment. Lowepro bags are extremely durable, designed to work in every kind of climate and every kind of condition. The Lowepro videos below demonstrate the multifunctional use of any Lowepro camera bag, with every detail thought through. Lowepro bags are designed with demanding professional photographers in mind, while being available and affordable to us amateurs as well. During the research of this article (August 2011), we checked the prices of the featured products in this article with 17 online Lowepro retailers, and in almost all cases Amazon was cheaper or same than the other Lowepro retailers in the US. For your convenience, we have added links to each Lowepro product category featured in this article. The side entry compartments make Lowepro Fastpack digital camera bags stand out from the crowd. It allows you quick access to your camera gear while on the move, so you can capture that quick shot. You can customize the main compartment with adjustable dividers, while the 180 degree access panel lets you access your gear while still wearing the pack. There are four models in the Fastpack series and two of them come with protective side access compartment for your notebook computer. You also have space for your personal belongings in the upper half of the backpack. 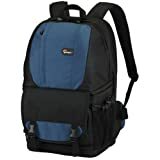 Best for: The Lowepro Fastpack DSLR camera bags are ideal for those that need easy access to their camera equipment while on the move, as well as for those carrying both camera and laptop. The Classified is discreet looking shoulder bag. The briefcase style conceals your camera gear in crowds, while still allowing you easy access and plenty of space for all your equipments. Padded shoulder strap with camera keeper prevents the camera strap from slipping, while the attachment loops give you extra carrying options. Classified DSLR camera bags come with built in all weather cover to protect it from the elements. The Classified 250 comes with padded notebook compartment as well. Best for: The Lowepro Classified digital camera bags are ideal for those that want discreet look without jeopardizing security and comfort. The Inverse digital camera bags are strapped around the waist, allowing quick hand free access to your camera gear. You waist straps are secure and you can customize the fit and the removable padded shoulder straps helps distributing the weight evenly. While the thick padding and the ergonomic design makes it comfortable wearing the Inverse waist bag. You can store your personal belongings in the front storage area. 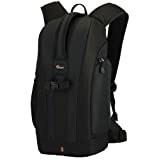 Best for: The Lowepro Inverse DSLR camera bags are ideal for those that want quick hand free access to their camera gear and prefer waist bag to other types of camera bags. 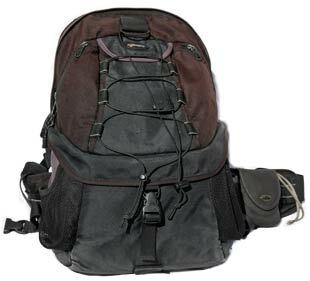 Adventura DSLR camera bags are lightweight, compact, protective, practical and great value. Adventura comes in three sizes to fit most popular DSLR kits. Best for: The Lowepro Adventura digital camera bags are ideal for first time users or as second bag, i.e. when you do not want to wear your camera backpack but still want to bring your camera and protect it. The unique rear access makes Lowepro Flipside DSLR camera bags stand out, as it allows you to turn your back safely, even in busy crowds. This means extra safety while on the move, while still having easy access to your camera equipments. With the waistband secure, your gear can be quickly reached by rotating the bag to the front, offering hand free use and stable work platform while changing lenses. Flipside comes in three sizes, suiting amateur photographers and professionals alike. All Lowepro bags are made from water resistant outer fabric to protect your equipment but many, like Flipside 400, comes with patterned built in all weather cover to protect your gear from the elements. 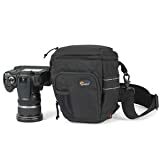 Best for: The Lowepro Flipside digital camera bags are ideal for those looking for extra safety for their equipment while on the move. Toploader snug fit allows you fast access to your camera, as well as agility and flexibility, i.e. you can use it in three ways to accommodate variety of shooting styles. Despite being snug and compact you can still store some additional camera gear and personal items, while the attachment loops allow you to expand your carrying options. 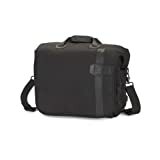 The Toploader digital camera bags are designed for the professional photographer that must work fast and light but come at prices that work for amateur photographers as well. 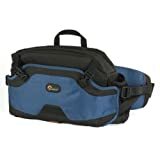 Best for: The Lowepro Toploader DSLR camera bags are ideal for those that need agility and flexibility when shooting, e.g. for adventure and sport photography. The Pro Roller is a modern mobile studio for the photographer on the go. This is the ultimate camera bag, travel ready and full of inventive details. This camera bag is indeed wheeled luggage and fits most airlines carry-on requirements. However, the reserve pack feature means you can use the Pro Roller as backpack as well. Actually, it is two bags in one! The TSA approved Lock & Go system allows you to secure all components and pockets, as well as allowing you to secure your bag when unattended. This bag has it all... you can even turn the handle into tripod like platform for shooting and lighting. 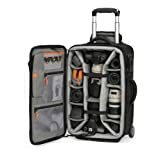 Best for: The Lowepro Pro Roller is the camera bag for professionals and serious photographers that like to travel with lot of camera gear. 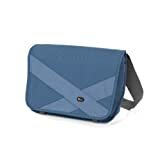 The Exchange Messenger is designed as messenger / bike courier bag, cleverly concealing that this is indeed a camera bag. It is modern and stylish looking, making it ideal in urban areas, i.e. fits nicely with any casual street wear as well as more formal wear. The adjustable straps allow you to wear the Exchange Messenger in two ways, i.e. across body messenger style or as shoulder bag. It is compact camera bag but it can still hold everything you normally need for a day out. It is smartly priced, making it a great value camera bag. 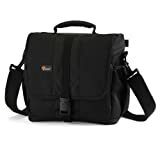 Best for: The Lowepro Exchange Messenger digital camera bags are ideal for those who prefer more stylish look than the traditional camera bag offers. You need Waterproof Camera Bag if you are using your camera gear in any kind of wet conditions. We offer impartial advice on what to look for when buying waterproof camera bags.